This book was given to me by one of my friends who thought I would enjoy reading this book. 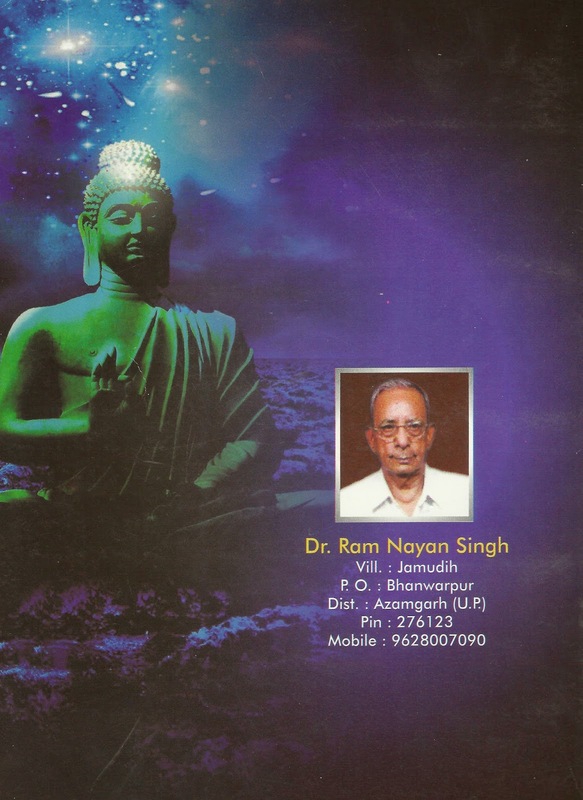 In fact the author of this book Dr Ram Nayan Singh had given a personal copy to my friend and that is how it reached me and I got into reading this title with keen interest. 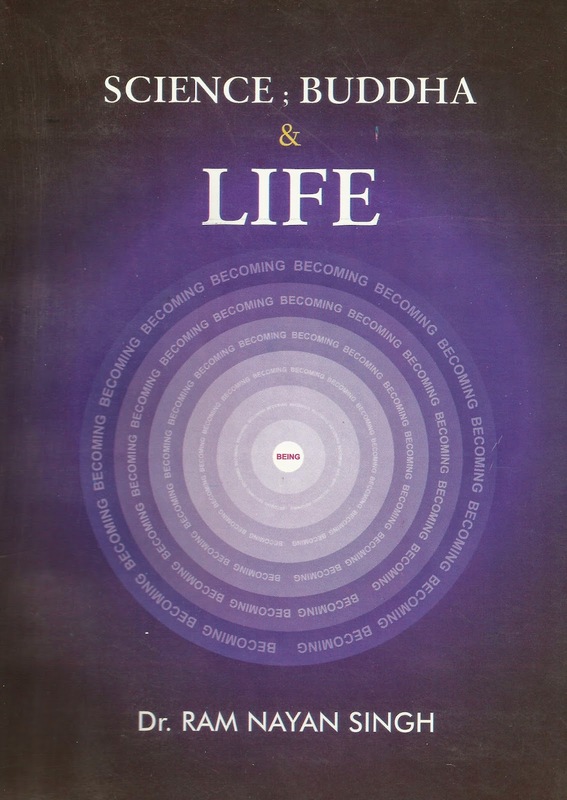 The journey of life for achieving our purpose and the interrelationship of science, psychology, Buddhism and spirituality is well explained in this book by the author and as one reads on, one tends to get a feel of author's personal interpretations of many concepts and practices as followed in academics and spirituality. The tenets of Buddhism have been elaborated and linked to the personal experiences which makes the book practical in its approach. Man being his own master as preached by Buddha needs to understand that good and bad that occurs, the cause lie within the self of the individual and that is where one needs to work on understanding and rationalizing the act and this approach in a way helps one to understand the music of life rather than having a complaining attitude towards external factors for their attribution towards anything unwanted happening. This philosophy of Buddha is well explained in the book and the ways through which one can deal with the problems of the modern day world can be handled. The study of time and space through the eye of spiritualism is the main focus of the book which starts with a strong belief that any material entity exists in space as well as in time and throughout different chapters it is maintained to justify the existence of energy all around. The first part of the book provides scientific background of the physical existence of human beings with the help of Einstein’s equation which we have grown studying (E=mc2). So the movement, speed of light and their interaction results in energy. The author integrates these elements and develops an argument for defending cosmic powers and takes the reader to the world of consciousness which I found interesting and convincing. The discussion on scientific issues reminds me of a book by Mani Bhaumik entitled ‘CodeName God’. As author puts it this discussion leads to five principles of natural order viz., deep form equivalence (all material forms are same); rule of law (predictability of the results); interdependence and interconnection (mutuality); paradoxical duality (reaction for every action, opposing existence); and all-inclusiveness (space for everything). The spiritual journey finds its root in the physical existence, space, time and nature which needs to transcend the self towards knowing the psycho-physical system and that is where the author believes that Buddha’s journey becomes important. From theoretical physics and pure science the author takes the reader to the world of life sciences and narrates the complex aspect of DNA and the nature of evolution in simple words through chromosomes, molecules, acids, plants and human beings. Before introducing the reader to the world of Buddha, the author cites many scientific works of the west which deny intervention of deities and demons (or effect of worship or otherwise) in the causation of diseases. The author has used the works of Newton, Einstein, Skinner, Pavlov, Freud, Dawkins, Simpson, etc to weave through the argument for existence, nature and behavior. And his belief in Buddhism and its explanation may help the reader to find a connect and defense for capabilities of Buddhism to follow the path of knowing the inner self. This is where I appreciate the author who through his own experiences of and about life supports the cause of leading a life towards enlightenment. The teachings of Buddha about dhamma, suffering, four noble truths, middle-path and life of moderation, illusions, impermanency, anatma (non-egoness) are explained candidly in the book. The last chapter of the book provide the ways following which one can lead a better life. The foremost principle that I could appreciate is the principle of managing energy positively. Individuals have to manage the inner as well as outer energy within the space provided and that can lead to putting efforts in right direction and using the time effectively. I get reminded of yin-yang of Chinese wisdom which demonstrates co-existence or complementariness of two opposite sides and that is really important understanding for leading a balanced life. The interpretation of dharma, arth, kaam, moksha as religiosity, wealth, desires and independence is explained to suggest right style of life. Natural conditioning generates awareness of self while social conditioning turn it to ego. Man can develop power to go beyond both. Modesty is shyness in doing evils. Life as well as understanding of whole universe is incomplete without the experience of one’s own internality within and without. A man appears as a body. He has to live in matter by matter in social relations. But he actually is much more than that, energy of awareness. All inclusive purpose of life is to witness one’s purest form, the elixir of life. Though there are some typographical errors in the text yet the book leaves me with an impressive and rich feeling of the link between Science, Existence, God and Buddhism and that is the reason I recommend that one should read this book. I am sure the author of the book must have had a strong feeling of self-satisfaction after penning down this piece and putting it in public domain.